BEWARE! Some landlords, particularly in buildings that were previously commercial and were converted for residential use (a.k.a. lofts) may try to trick their tenants into signing a commercial lease for their residential unit. 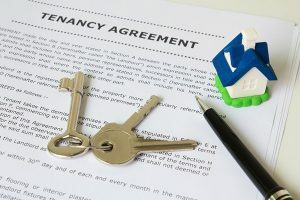 The purpose of this is to avoid the numerous landlord obligations prescribed by the Residential Tenancies Act (RTA), which only applies to residential units. Does this mean that if you have already signed a commercial lease, you are bound by a commercial tenancy? Not necessarily. According to the RTA, s.2(1): ““residential unit” means any living accommodation used or intended for use as residential premises”. This mean s that if you live in the unit, it falls under the RTA. If both you and the landlord intended for you to live in the unit when you signed the contract, the unit falls under the RTA. Even if you conduct some work at home, such as a home office, your unit may still fall under the RTA. As long as the predominant purpose of the premises is residential, the RTA applies. Some landlords will not want to fulfill their residential obligations simply because you ask them to. A possible solution to this is to apply to the Landlord and Tenant Board (LTB) with application A1: Application about Whether the Act Applies. This application can be found on the Board’s website, under Forms for Tenants: http://www.sjto.gov.on.ca/ltb/forms/. At the hearing, you will have an opportunity to show the Member of the Board that your unit is residential. The Member may make an Order stating that the Act applies, in which case your landlord will be obliged to abide by their obligations under the RTA. What about the commercial lease that you signed? The lease is still a valid contract, even if the RTA applies. Any clauses that do not contradict the RTA will still be valid. However, clauses that contradict the RTA (such as payment by post-dated cheques) will be invalid. For help completing the application, representation at the hearing, or further questions, contact us at (647)-746-4934 or kate@dynamiteparalegal.com. We will be happy to help. Please be advised that this article is not meant as legal advice, and that we strongly recommend seeking independent legal representation before initiating any legal action.